Kicks of the Day: HUF Genuine "Bison/Khaki"
Presented as one of the staple silos amongst Keith Hufnagel&apos;s bunch, the Cali brand hooks their Genuine low-go up with a fresh scheme for the summer months. 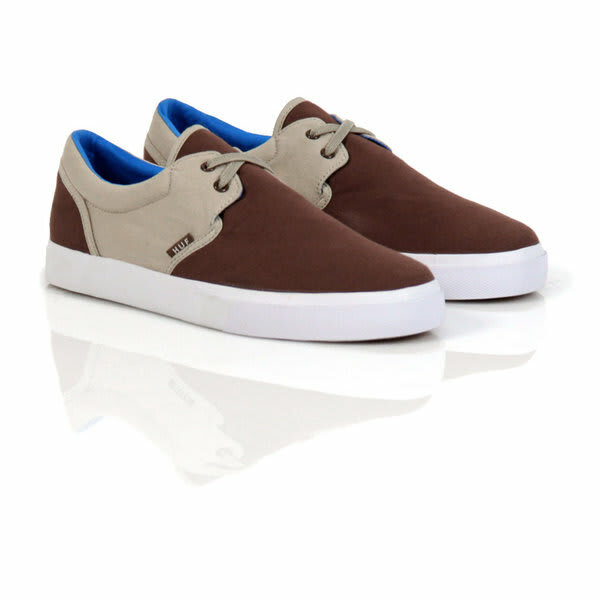 As usual, the upper is comprised of canvas and the option of rocking with or without laces is still there. What we really dig about this particular colorway is the blue inner lining that acts as a nice pop effect. If you&apos;re digging &apos;em too, check HUF to snag for $60.